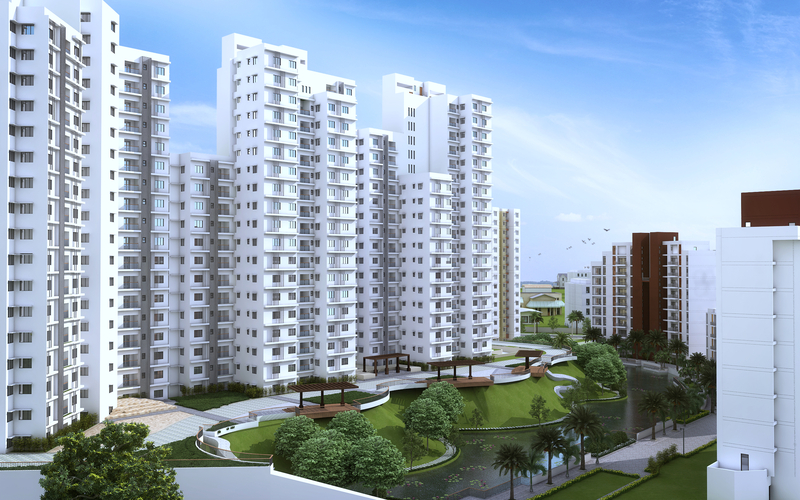 This is a residential project which comprises 3 nos. 18 storey towers with 2 levels of combined podium parking. The total built up area of residential towers is 2.83 lacs sft and area of MLCP is 0.78 lacs sft.